INTERVIEW: I Hate Everything - "I'm Not Giving Up"
Earlier in the week, I Hate Everything’s channel was taken down due to supposed spam. 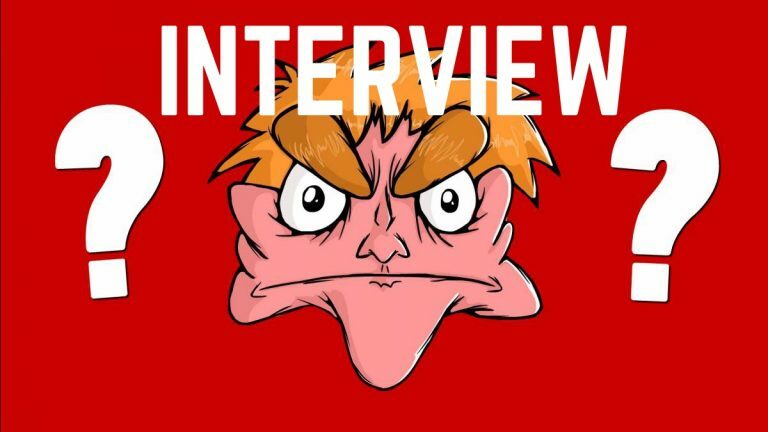 Looking at his body of work, it’s obvious to anyone that Alex of IHE’s videos are nothing of the sort, but that didn’t stop YouTube from suspending his channel, bringing a shitstorm with it from fans and fellow creators. Just under 24 hours later, the channel was restored. Not before the damage had been done, though – Alex uploaded a video on what happened shortly after I Hate Everything came back online that was less than effusive of YouTube and its practices. After writing about the growing gap between YouTube and its creators, I reached out to Alex to see if he might be interested in answering a few of my questions. Hi Alex, how are you feeling? I heard you’re not that motivated to work on the channel lately, which is hardly a surprise. I’m pretty fed up with YouTube at the moment. The support from fans and other content creators is flooring and humbling to me, it’s the main reason I stay inspired to keep working. But every time I think about how toxic and vapid the YouTube landscape has become it makes me question why I put so much energy in. I’m not giving up though, aww hell no! Honestly I still have no real idea! It seems to be some kind of glitch with the automated system, presumably a group of “trolls” falsely flagged a video which led to me getting a strike on my channel. But instead of a strike acting as a first warning out of three, my entire channel was completely taken down for reasons unknown. I had no idea it was even possible and I have still received no explanation from YouTube. At the time of writing this, I’m actually the first of four different channels to be completely taken down for no reason. I made such a stink with the #FreeIHE campaign that I assume that’s the main reason my channel was restored, I’m as clueless about the whole situation as you are! What were the first things that went through your mind? Did you think “that’s it, I’m done” at all, like it would be better to just leave YouTube behind and find something else? I’ve often thought about the idea. But I always abandon it because that would be YouTube winning. My mere existence on YouTube is a big middle finger to everything scummy that YouTube stands for. Someone needs to be constantly calling them out on their idiotic anti-user systems and decisions, and unfortunately I feel like I have to keep doing it to even stand a chance of seeing any real change. I’ll only leave YouTube if they remove me by force, which they won’t, because they can’t (in theory at least). Why are YouTube seemingly now so suspicious of their creators? It depends on your content. If your videos are even remotely challenging then you’re in more danger of being shut down than people who actually break the community guidelines are. YouTube likes the idea of easy to market safe channels like Smosh or PewDiePie. Because they can reach the widest audience possible and bring in the most $$$, without “offending” or questioning anyone or anything. YouTube flagged your videos as spam, which is ridiculous. Just to show how that’s definitely not the case, can you tell us how much work is required for a video? I work on a weekly turn around usually. I have to write and research the video, record and edit the audio, then gradually chip away at the video editing until it resembles what you end up seeing on the channel. I spread it over the week otherwise I’d go insane, some of my longer videos can take upwards of 20+ hours to edit just the video section. The funny thing is, “reactionists” are still allowed to exist and flourish, despite them being shitheels who just lift the work of others and add little of their own. Why do you think this is? It’s effectively a way for YouTube to monetize a video twice, so they don’t care. $$$ controls everything on YouTube, much like it does in every business. It’s been a rough few months for the channel with copyright strikes from manchildren to contend with as well. What kept you going? I just find the whole situation laughable, and along with the support everyone gives me, it would be hard for me to not continue just because I’m too stubborn to let them win! You had a huge outpouring of support from your fellow creators and the YouTube community at large. Is there anything you would like to say to them now? A very sincere thank you to every single one of you. It’s thanks to you that I’m able to keep doing this. It’s the main reason I’m willing to not give up with this whole situation. What would you say to anyone wanting to start their own YouTube channel? Is it still worth the stress? Give it a go, why not. Just use my channel as a guideline on what NOT to do if you want to have an easy time on YouTube! Every time I get a nice message or email it makes the stress worth it. Just be consistent and don’t give up, and you’ll eventually grow an audience if you’re lucky enough. What do you see lying ahead for IHE in 2016? More needless controversy and some funny videos, hopefully! All the best, Alex. Everyone at CV sends their love. Keep doing you. Anytime, thank you for the support!